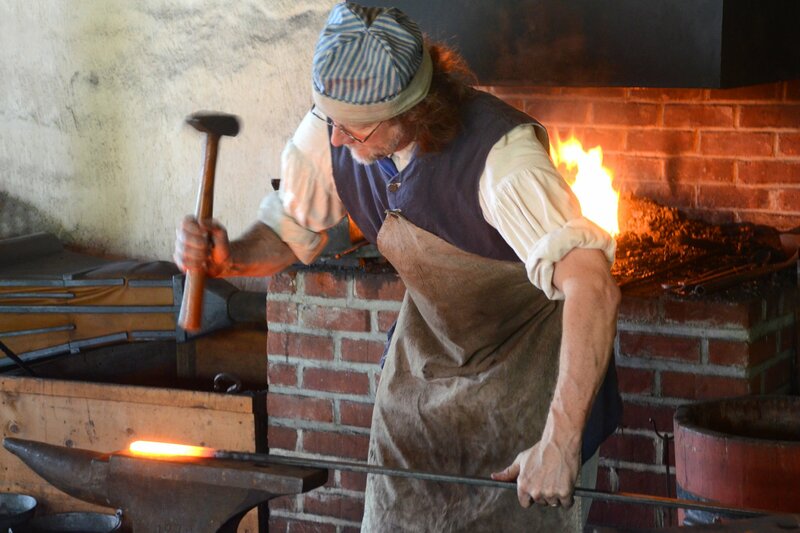 From 18th and 19th century living history to outdoor concerts of traditional music, historic Jerusalem Mill Village offers a fascinating look at the past in fun ways. Find the details on our Events page, and follow our blog to learn the latest news. Our story began in 1772, when Lee’s Merchant Mill opened for business on the north bank of the Little Gunpowder Falls. Through time, the mill became the centerpiece of a small Quaker village, and the business evolved from grinding the area’s grain to serving more of the local farming community’s needs. 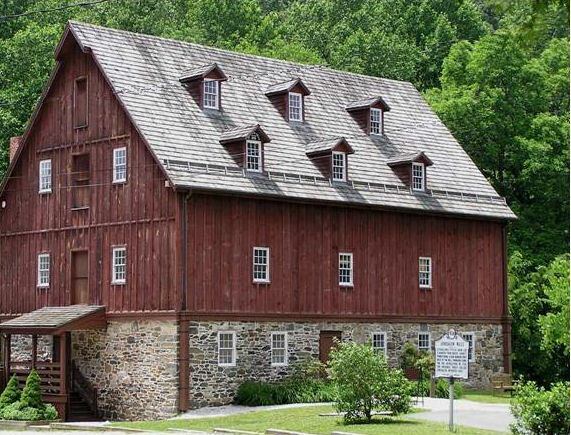 In 1961 the State of Maryland purchased property that included the mill, the blacksmith shop, and the stone building behind the mill for the Gunpowder Falls State Park. After the mill sat vacant for nearly 25 years, a handful of concerned local residents formed the non-profit, all-volunteer Friends of Jerusalem Mill (FOJM) and embarked on a long journey to recapture the past. They ended up saving the whole village—the state rebuilt the mill as headquarters of the park and used Program Open Space funding to purchase the rest of the original buildings. 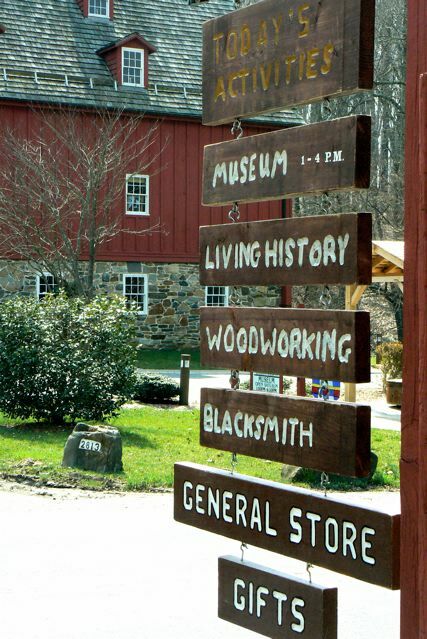 Jerusalem is now one of the most intact historic mill villages in Maryland. During Maryland’s formative periods, numerous milling sites lined the banks of the Falls. Now, only Jerusalem Mill Village still stands as evidence of the community’s earliest industries, thanks to the collective power of volunteers. In 2011 FOJM earned national designation as a Preserve America Steward, in part for filling an unmet need in heritage preservation with volunteer efforts. Enjoy your visit to our website and our village! You can help us forge a better future by becoming a member, and by patronizing the quality products and services provided by our generous sponsors.